It has now been more than 135 days since Sterlite Copper’s plant in Thoothukudi was shut down. This was carried out following a series of protests against the perceived pollution generated by the company, culminating in the tragic events of May 22nd. No opportunity was provided to the company to present its case and the plant was quickly shut down by the government to placate protestors. Over the months preceding the closure, a mass narrative was created by certain groups that the company was responsible for literally every problem plaguing the town of Thoothukudi. This despite the fact that there are over a hundred other industries functioning in the close vicinity of Sterlite Copper. While industries are of course liable to ensure that their operations do not cause harm (Sterlite Copper has spent over 500 crores on environmental measures alone), the manner in which a single company was targeted by activists puts a huge question mark over the real motive of their actions. Since the closure, a severe impact has been felt on the local industries and subsequently on employment. Sterlite Copper alone employed over 4400 employees, whose future is now in grave doubt. As per media reports, Amritha Chemicals, a Thoothukudi-based firm, has had to reduce its employees from 110 to just 11. There are plenty of other companies that have been similarly affected by the closure. What was also surprising was the manner in which any dissenting voice was swiftly put down. Employees of Sterlite Copper, who took to social media to share the real facts of the company, were called names and abused online. One contract employee was physically assaulted and her hut was burnt. The ostensible reason for this action was that she had supported the continued operations of Sterlite. There are numerous other instances of villagers being afraid to speak out due to fear of violence or social ostracism. On Saturday, the 22nd of September, the NGT Committee investigating the plant closure arrived in Thoothukudi to get first-hand information about the issue. A public interaction was organized on the 23rd by the NGT team to interact with the local community members and understand their concerns. 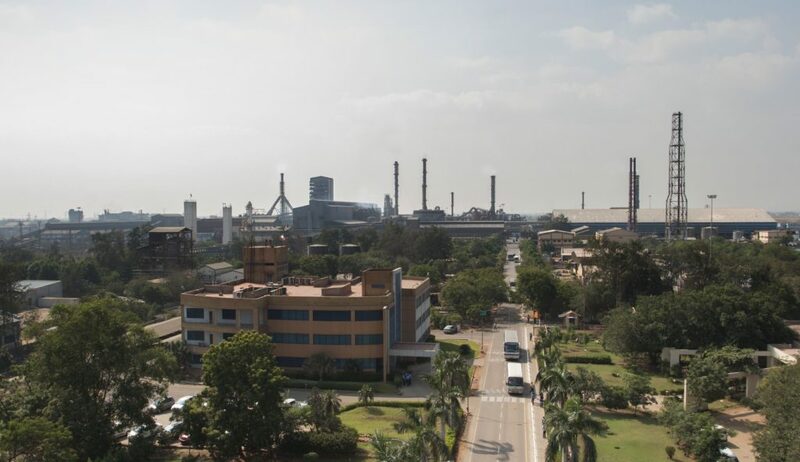 To help amplify the voices of the local community and ensure that their opinions were heard, Sterlite Copper helped organize a petition campaign that saw over 155,000 people lend their support to reopening the plant. However, the people who came forward to speak in support of the plant were brutally attacked and chased. It is pertinent to note that these people were not there at the company’s behest. They were there to protect their jobs, their livelihoods, their children’s futures and perhaps the future of Thoothukudi as well. There is video evidence that shows certain people attacking and chasing away some of the petitioners. There is also evidence showing certain individuals handing out readymade letters and garnering on-the-spot signatures against Sterlite Copper’s operations. Even women were not spared the fury of these groups. Foul words and threats of violence flowed freely. Why? Merely because they had an opinion separate from what the protesting activists had. Our nation is noted as the world’s largest democracy. The whole globe looks to us an example of how a democracy can exist and thrive, even in the midst of multiple opinions, communities, religions and income levels. But we have only managed to do so because from 1947, as a nation we have allowed people to put forward their ideas and thoughts without fear of violence and recrimination. 155000 voices have now spoken out in favor of reason and informed discussions. It can only be hoped that more such voices will be heard, and more importantly, will be allowed to be heard over the coming days. Was Closing Down The Sterlite Copper Plant At Thoothukudi The Right Decision? Absolutely bad decision…. Need to reopen sterlite immediately as its clear protest done only on false decision..